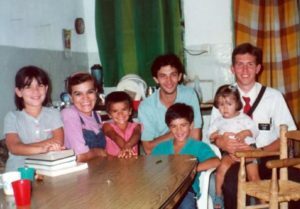 The story of the first family that I taught and baptized in Argentina, the Almada family, is a great example of the power of prayer. Within a week of my companion and I arriving in the city of Parana, Argentina, the Almada family moved into the home right behind our apartment. With Fabian, the husband, Silvina, the wife, and their four kids living right behind us, our paths crossed often. I can remember my companion, Elder Loesener, often kicking the soccer ball with their oldest son as we came and went from our apartment. Within a week or two of first meeting the Almada family, we got home one evening and were contemplating what to cook ourselves for dinner. Elder Loesener wanted to cook something that required sugar, but we didn’t have any. He thought we should ask the Almada’s if we could borrow some sugar. He also thought this was the perfect time to more formally meet the family and tell them about our message as missionaries for the Lord Jesus Christ. We borrowed the sugar and ended up having a nice conversation with them, and they agreed to have us come back and teach the first discussion. The first discussion went very well and we scheduled the second discussion. Fabian was very interested in our message, read The Book of Mormon and everything else we gave him to read. He was eager to learn, asked many questions, and demonstrated great faith, dedication and determination to begin a new life with his family. At the end of the second discussion, when my companion asked them if they would be baptized, both Fabian and Silvina said yes without hesitation. Fabian worked at nights at a local panadería (bakery). One morning, after we had begun teaching the family, we awoke to find a bag of warm bread and pastries by our front door. It was so delicious, hot and fresh, we couldn’t help but gobble up all the pastries within the morning. And the bread was great for sandwiches that afternoon and evening and even for French toast the following morning. We began to find the bread and pastries on our door step several times a week, and we were very grateful to Fabian for thinking of us. The Almada’s were doing great. They were coming to church and progressing in the gospel. They had been searching for the true gospel of Jesus Christ and recognized it when they found it. When we taught them the word of wisdom, Fabian had his son go to the kitchen, get all the wine, and dump it down the drain immediately. 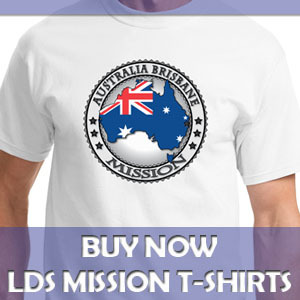 They were every missionary’s dream of a golden family. Then, about a week before their baptism, Fabian lost his job at the bakery. The economic situation was tough in Argentina at that time. Many people were without work. 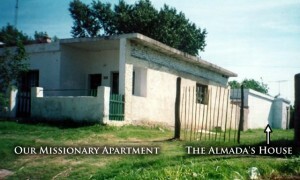 We knew this would be a great trial to the Almada’s growing faith in the gospel, and we were amazed at how they responded. Silvina, the mom, told us that the morning after Fabian lost his job he knelt and prayed fervently for 30 minutes. Afterwards he rose and headed out the door with a determination to find work to provide for his family. Not only did Fabian offer a prayer, but his wife and children and us missionaries were all praying that he would find a job. We thought it would take days or weeks for Fabian to find something, but the Lord answered our prayers very rapidly. Fabian came home that very night with not just one job, but two jobs, which was a tremendous blessing. He was going to be able to work more hours and get more pay than he had before. It was a true miracle. 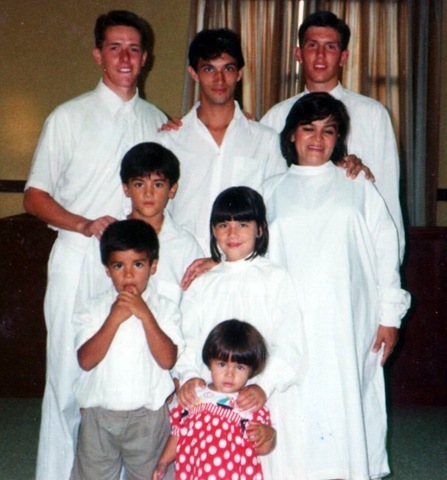 On Thursday night, February 8, 1996, we held the baptismal service for the Almada family. Our little branch didn’t have a real LDS chapel or a baptismal font, so we had to go to a different ward building in the city. I baptized Fabian and their 10 year old son Cristian. Elder Loesener baptized Silvina and Anai, their 8 year old daughter. It was a wonderful experience for all. Following the baptisms, as traditional in LDS baptismal services, there were additional talks once the family had dried off and gotten dressed. My companion was conducting and, to my surprise, he asked Fabian to come to the front and beare his testimony. 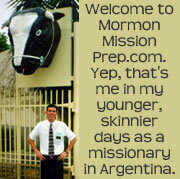 I thought it was a bold move, but Elder Loesener must have been prompted by the Spirit. Fabian stood up without hesitation and bore a powerful testimony of the restored gospel of Jesus Christ. When Fabian lost his job, his convictions in his new found faith were not shaken. He, along with his family and friends, prayed in faith and with great power the Lord answered and poured out blessings, both temporal and spiritual, upon the Almada family. And so will God bless you, your family, the missionaries, and all who faithfully seek His help through the power of prayer.